Animals were omnipresent in the everyday life and the visual arts of classical Greece. In literature, too, they had significant functions.This book discusses the role of animals - both domestic and wild - and mythological hybrid creatures in ancient Greek literature. Challenging the traditional view of the Greek anthropocentrism, the authors provide a nuanced interpretation of the classical relationship to animals. Through a close textual analysis, they highlight the emergence of the perspective of animals in Greek literature. 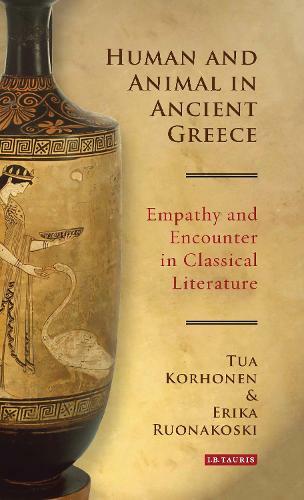 Central to the book's enquiry is the question of empathy: investigating the ways in which ancient Greek authors invited their readers to empathise with non-human counterparts. The book presents case studies on the animal similes in the Iliad, the addresses to animals and nature in Sophocles' Philoctetes, the human-bird hybrids in The Birds by Aristophanes and the animal protagonists of Anyte's epigrams. Throughout, the authors develop an innovative methodology that combines philological and historical analysis with a philosophy of embodiment, or phenomenology of the body. Shedding new light on how animals were regarded in ancient Greek society, the book will be of interest to classicists, historians, philosophers, literary scholars and all those studying empathy and the human-animal relationship.